Contact Adam Rue Auto Sales today for information on dozens of vehicles like this 2017 Chevrolet Cruze LT. You can finally stop searching... You've found the one you've been looking for. The Chevrolet Cruze LT will provide you with everything you have always wanted in a car -- Quality, Reliability, and Character. This is about the time when you're saying it is too good to be true, and let us be the one's to tell you, it is absolutely true. More information about the 2017 Chevrolet Cruze: The Chevrolet Cruze is a compact sedan competing with the Ford Focus, the Honda Civic and the Toyota Corolla, among others. It's a crowded segment, and any car looking to stand out needs to bring its A game. The Cruze does just that, with a class-leading wheelbase to improve interior room and a bevy of available features, including upmarket luxury items like heated seats. A new generation of MyLink smartphone integration is also standard, displaying through a seven-inch color screen mounted on the dashboard. 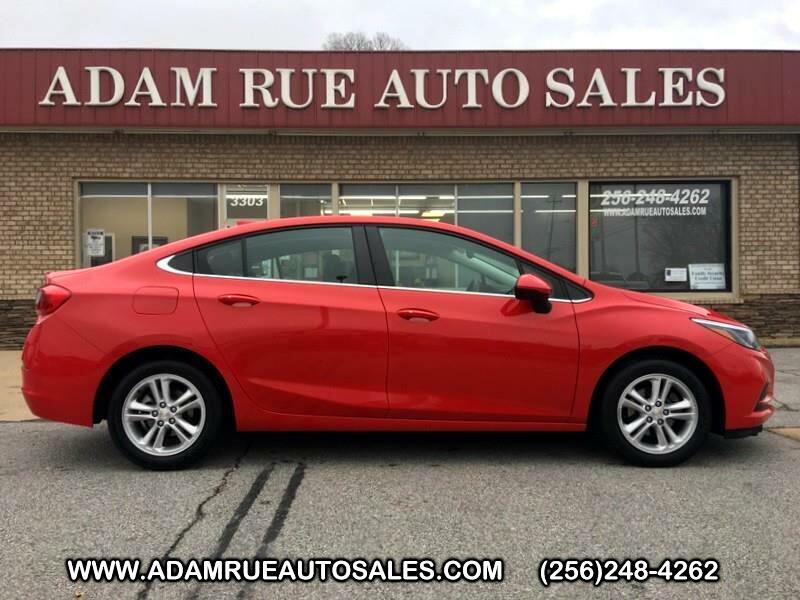 Strengths of this model include available high-end features, Lots of standard amenities, efficient turbocharged engine, roomy for a compact, and good smartphone integration Thank you for considering Adam Rue Auto Sales! We are proud you are here. Our dealership is focused on making your buying experience as pleasurable as possible. We understand how difficult it can be finding the perfect vehicle. Our staff has been in this business many years and are trained to be professional and courteous while assisting you. After all, you are the reason we are here. We want to be a little different than what you will find down the street. We stock quality vehicles and look forward to treating you like family.